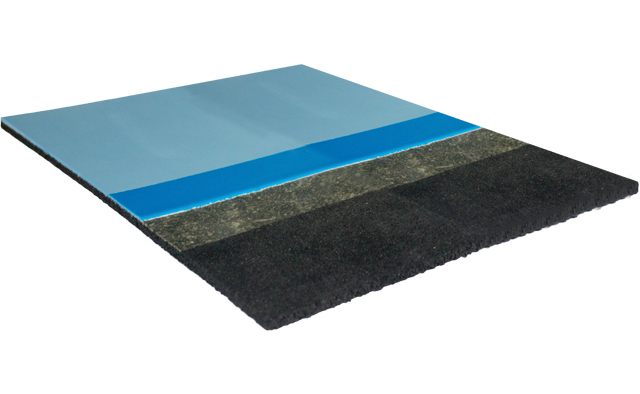 The DYNAMIK Point Elastic sports floor is constructed using a recycled rubber crumb base finished with a seamless polyurethane surface. Seamless polyurethane brings the advantage of seamless installation. The surface finish will require periodic re-painting throughout its life in order to maintain its appearance and slip resistance.